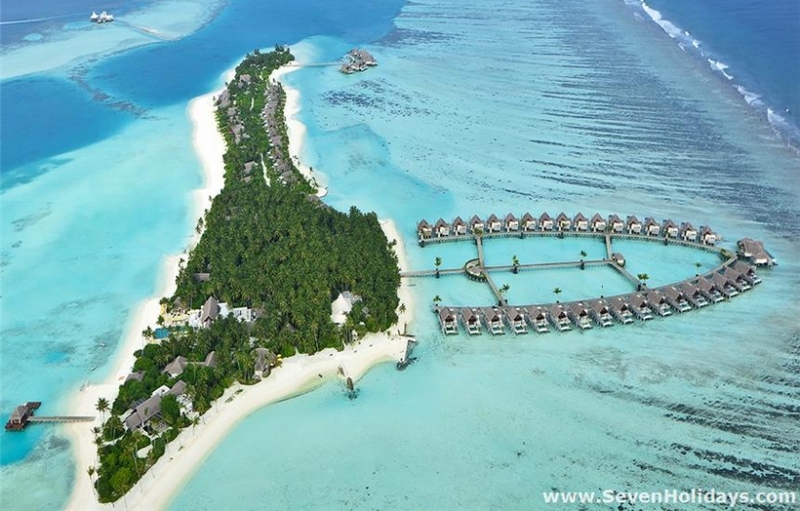 Developed by Per Aquum (Huvafenfushi) and co-owned by Anantara (Kihava), this is a resort with pedigree. 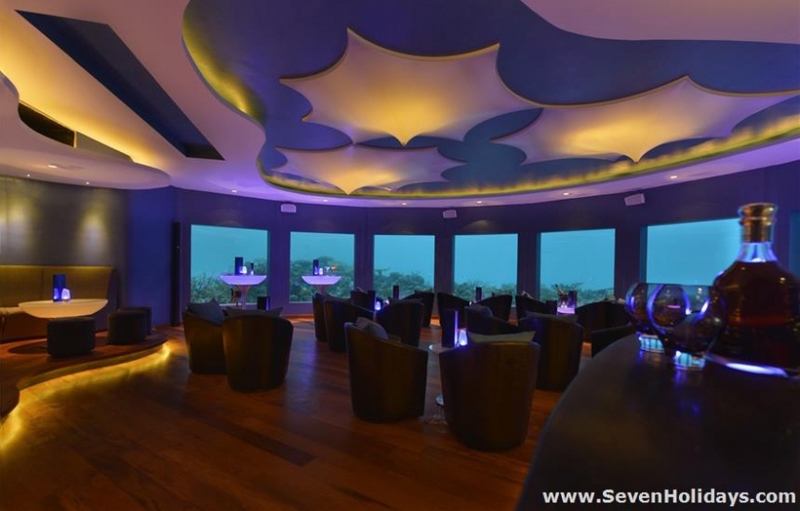 Sharing the design and service qualities of those resorts, what sets Niyama apart is its great variety of activities and entertainments. Honeymooners and young couples love the place, yet it is perfect for families too. There are two islands to the resort but the second one is not yet open. It will have a large Kid’s Club, tennis courts and more beach rooms. The open main island is particularly attractive, with its mix of ordered and untamed nature. A lily lined, white path winds through the green interior of palm trees, screw pines and some unusual indigenous trees and bushes. 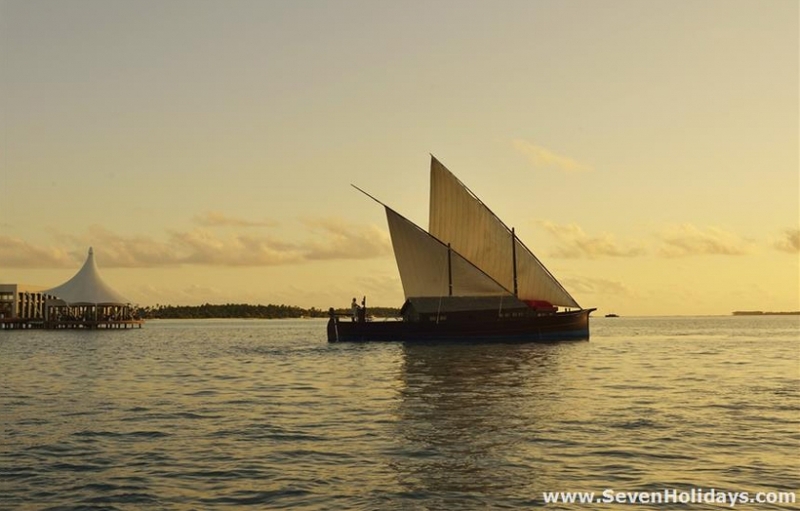 A wide beach goes all the way around the island but the best beach is on the sunset side looking in to the atoll. The beach on the sunrise side has been helped out by pumping from the lagoon, as this part looks out to sea beyond the outer atoll reef. 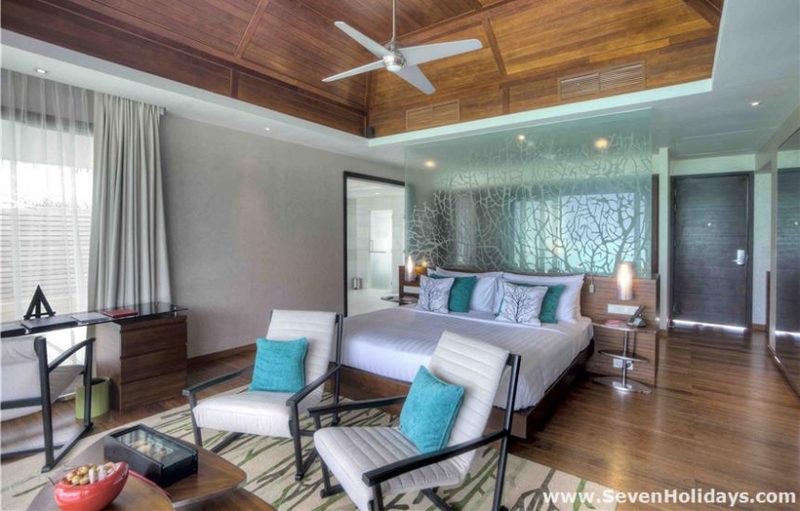 Drawing on the experience of previous top end Maldives resorts, Niyama has its design and setting just about perfect. From the sunset swimming pool and bar to the spa rooms’ uninterrupted view of the white waves breaking over the reef, to the off-shore restaurant with its underwater club, Niyama does the Maldives very well indeed. 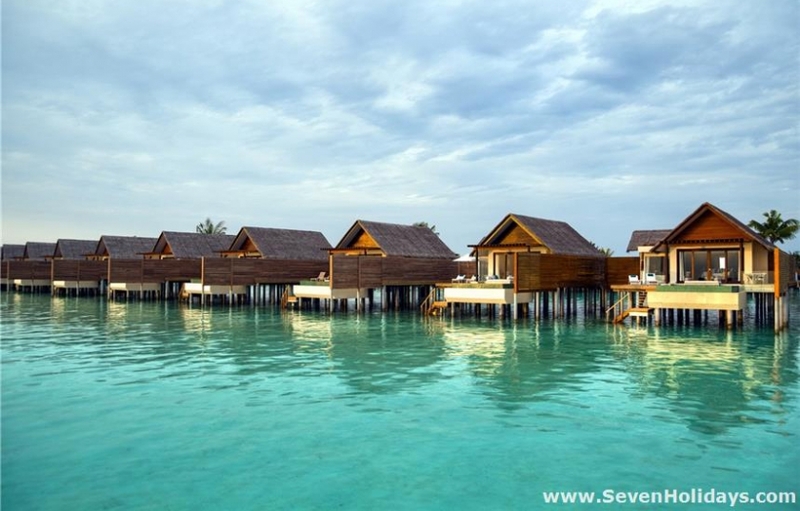 The four categories each of beach and overwater rooms go up in price with size and location. The sweet spot for value is probably one of 20 Beach Studios with pool, on the sunset side with the fine beach and untouched lagoon. 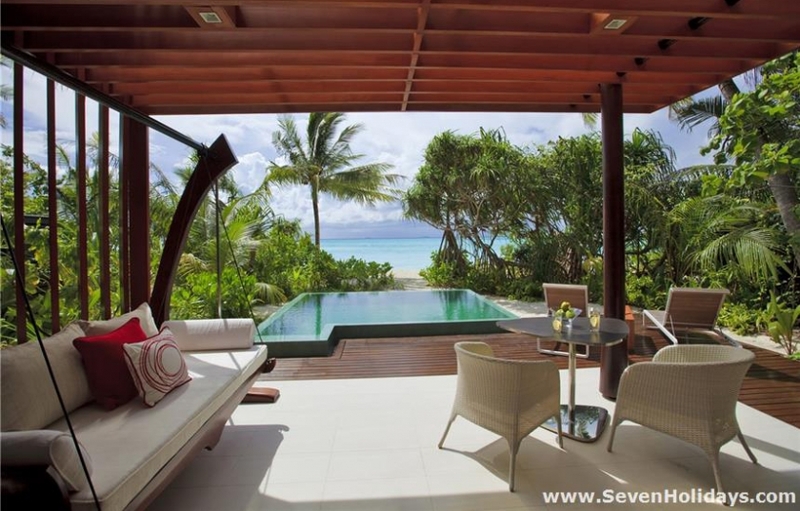 For luxury and indulgence one of the Pavilions (3 beach and 2 overwater) with personal butler is the way to go. All the rooms are beautifully decorated. They do not shout their expense but reveal it through good taste and craftsmanship. 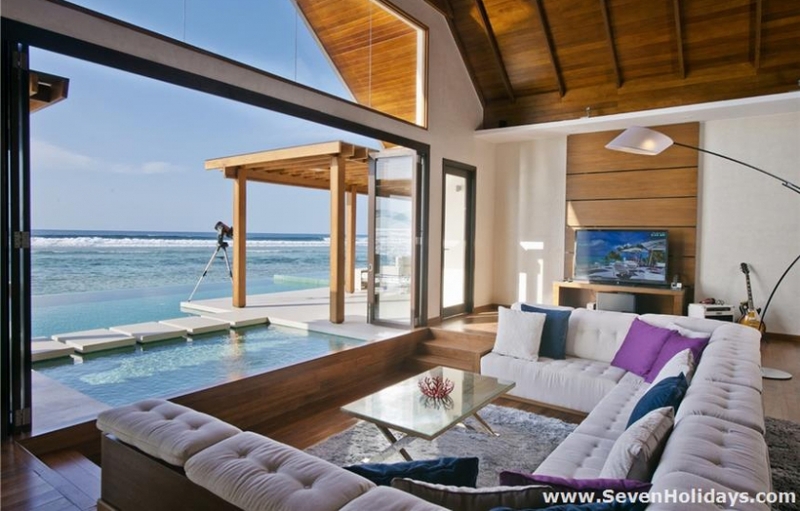 As is the case with most things about the Maldives, simplicity works best. Predominant whites and creams, reflecting the light around the rooms, is set off by splashes of crimson and teal. These are places you are happy to run in and out of through the glass doors thrown open. Similarly with the fine inside outside bathroom at the back. The large screen with Bose system is just as easy to use as to ignore. The iPad with free wifi is a fine touch and the ‘Deli In’ is a great extended minibar, with free popcorn for your movies, and free coffee and bottled water. Music should be integral to setting moods around a resort but few resorts do this well at all. Niyama is one of the ones that does do it well. A ‘music concierge’ sends frequently updated sets to the different venues to be played at appropriate times of the day, and night. 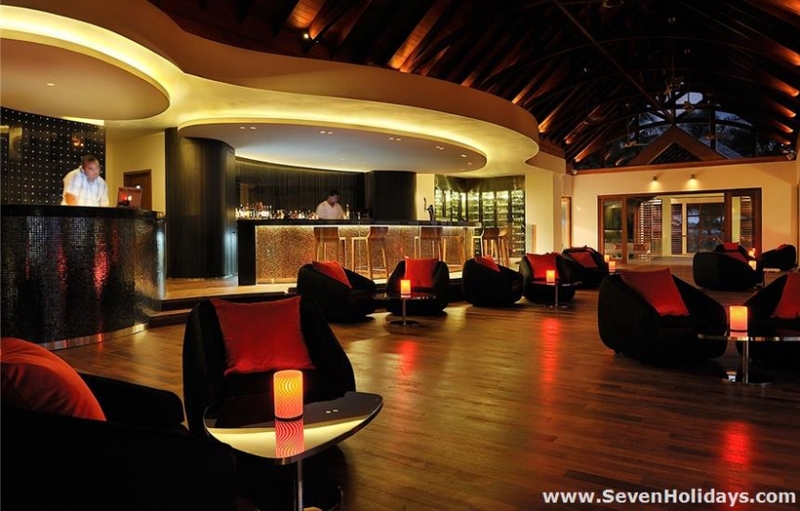 It helps make the zone around the main restaurant, pool and bars a vibrant, fun place to be. 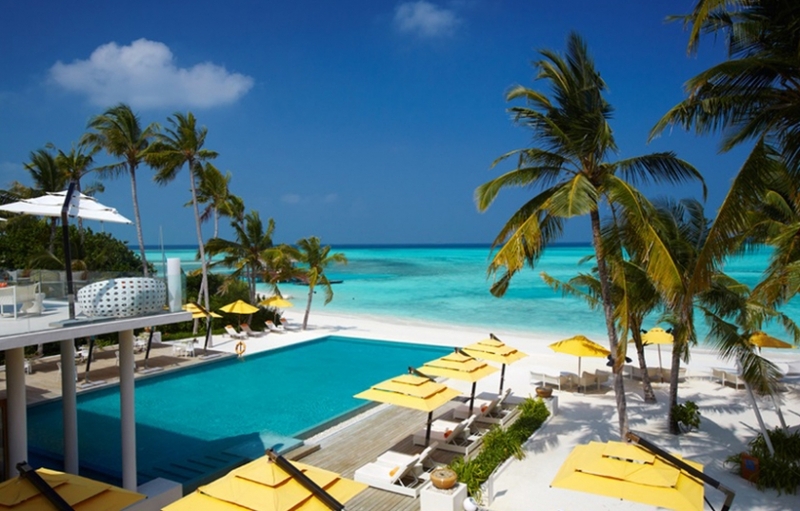 Vibrant and fun are key words around Niyama. Specialists and gurus from kickboxing to aromatherapy, Tai Chi and Zumba have week-long residencies. 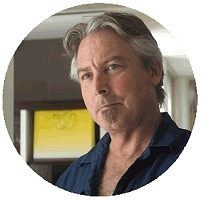 A yogi and an active marine biologist remain in residence. A games room has PS3, Xbox and simulators to have a laugh improving your golf, basketball, shooting and more. The watersports team offer the full range of options, including seabobbing, jetskiing, wakeboarding and so on. And all non-motored sports are free. The company, FLOAT, also run the diving and snorkeling trips. 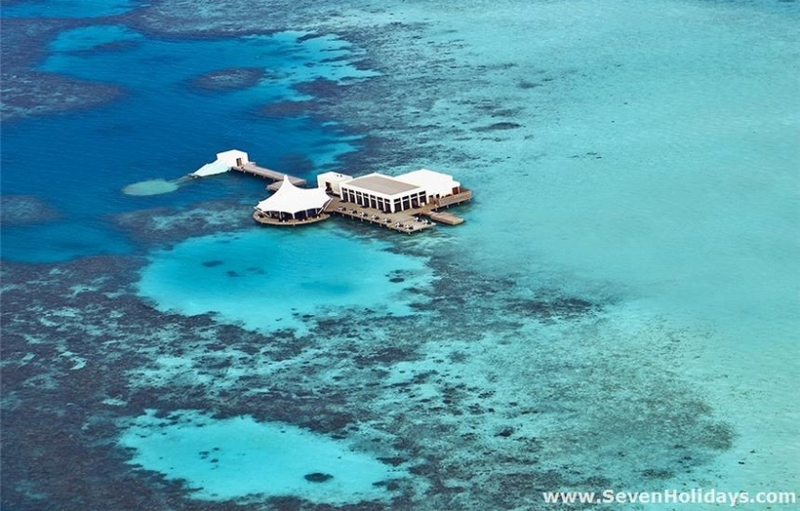 The snorkeling is limited around the resort itself but pretty good around the offshore restaurant. The neighbourhood is pretty much untouched by resorts and safaris, so there are many local thilas and channels for snorkeling and diving trips. Being on the edge of an atoll by one of the main channels means some big pelagics are common sights. 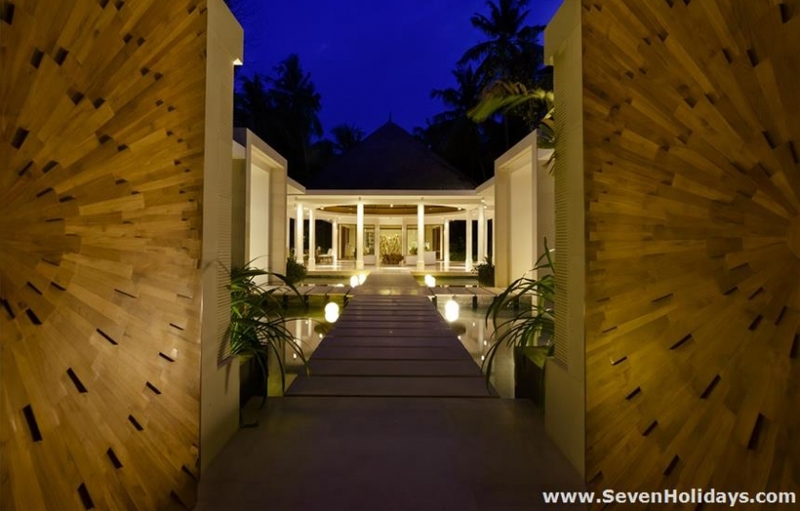 The location of the spa is superb and though the reception is a bit square and unsympathetic, when you are under the hands of the Balinese therapists it is pure bliss. The cuisine is excellent in all the restaurants, with the speciality venues ‘Edge’, over the water off-shore, and ‘Tribal’, African and South American, being particularly fine and exciting. The glue that holds this great new resort together is the service quality. This is a resort with exceptional staff facilities and a great esprit de corps The result of that for the guests is a helpful and happy set of people ready to make your holiday as good as they can make it. And on Niyama that’s very good indeed.